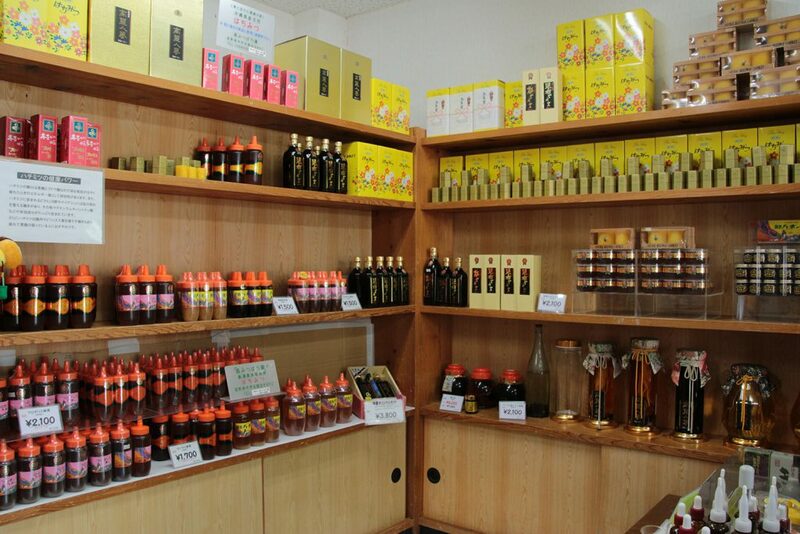 Share the post "The Shimabukuro’s propolis specialty store, Shima Mitsubachi-En (Ginowan, Ginowan City)"
Founded in 1978, "Shima Mitsubachi-En" harvests honey at its own apiary, and develops original products at its own factory; goods such as "Royal Jelly Honey" with ginseng extract and "Propolis Honey", which are made with 100% ripe "Pure Hagoromo Honey (Hundred Flower Honey)". 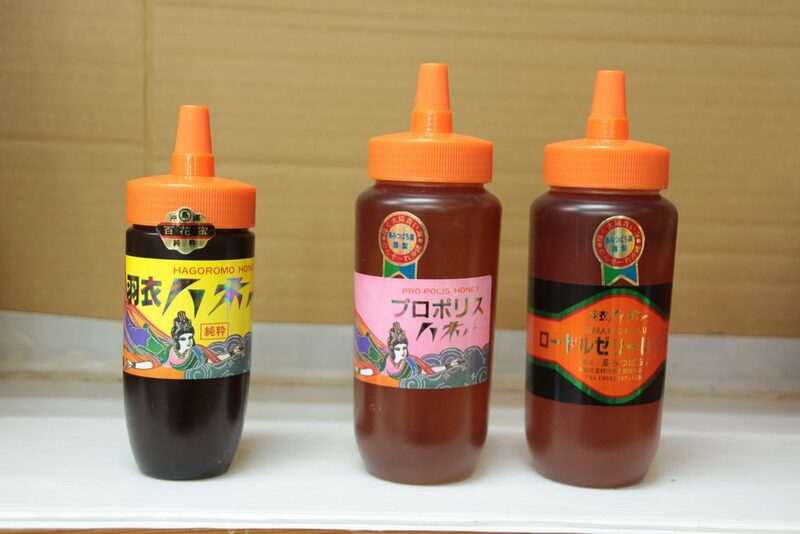 "Shima Mitsubachi-En" is also known for specializing in products made with propolis (also known as "hachi yani"). Besides original products from their factory, they offer imported items as well. Imported from Brazil, 'Coffee flower honey' smells a little like coffee, and is perfect for toasts and pancakes. 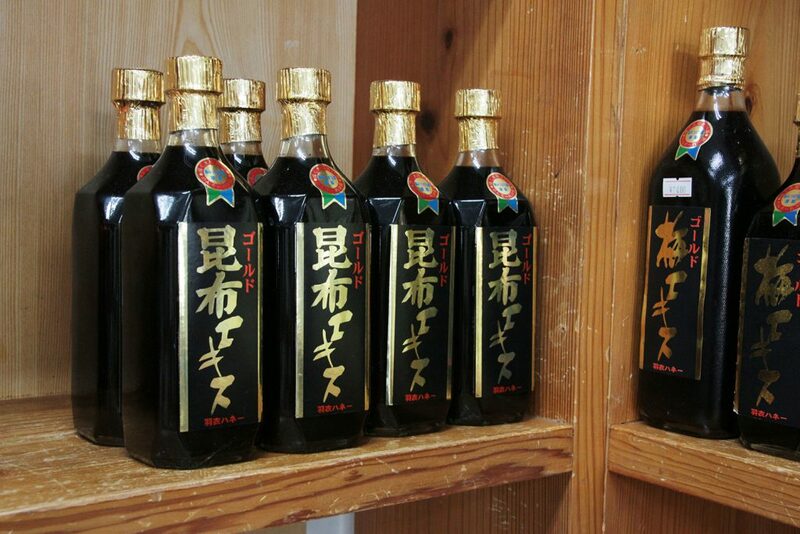 Also, the original "kelp extract" and "plum extract", which can be used for seasoning, are priceless for health. Each are processed with genuine honey and aged to maturity. Providing safe and reliable honey is the store's passion; every product is created with that in mind. In a conversation with the owners, "if it's about honey, please ask us anything", they said with a gentle smile. 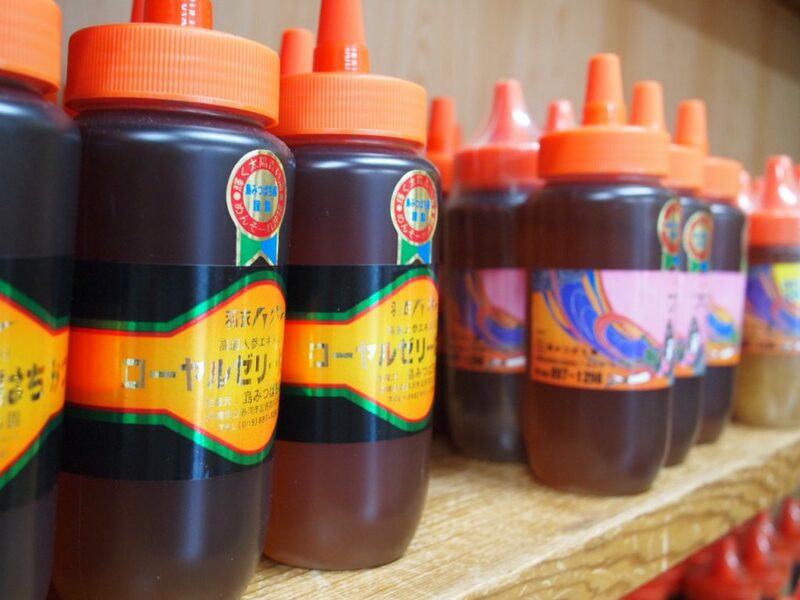 Their pride and enthusiasm about honey, the specialty they've engaged in for many years, was clear. If time permits, it may be good to have a leisurely chat (yuntaku) in the shop with them. made honey. 10% OFF on purchases of 5,000 yen (excluding tax).